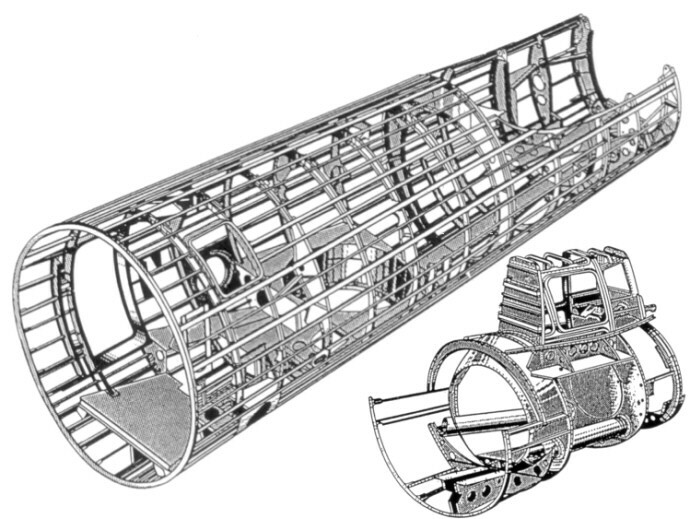 The frame of the B-29. The engineers numbered the stations based on inches from the nose. 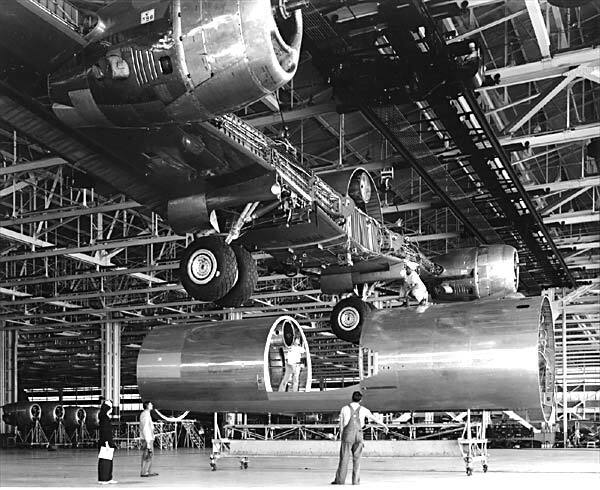 The forward compartment of the aircraft was pressurized. This compartment ran from station 0 to station 218. Most of the crewmembers sat in this section. 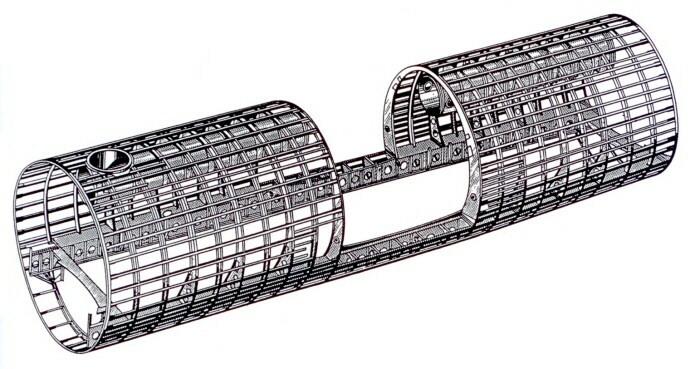 The internal framework of the forward section. 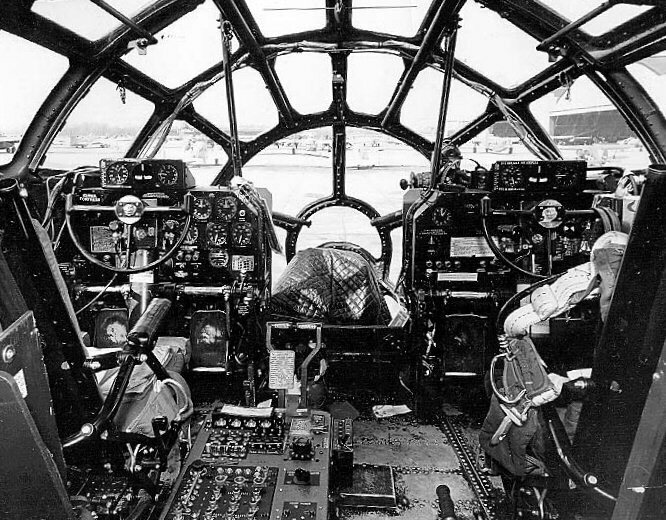 One of the most distinctive features of the B-29 was the plexiglass cockpit. This gave the crew a stunning panoramic view of the outside world. The bomb bay section was not pressurized. 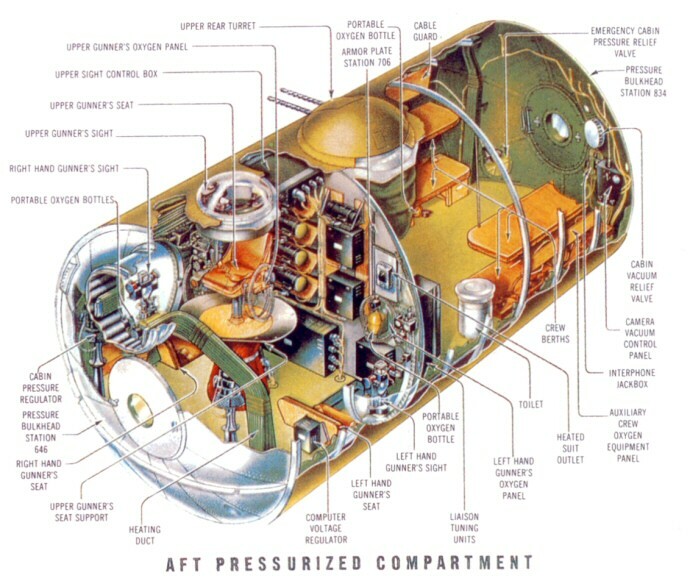 A pressurized tunnel allowed crew members to travel from the forward pressurized compartment to the aft pressurized compartment. The bomb bay section ran from station 218 to station 646. 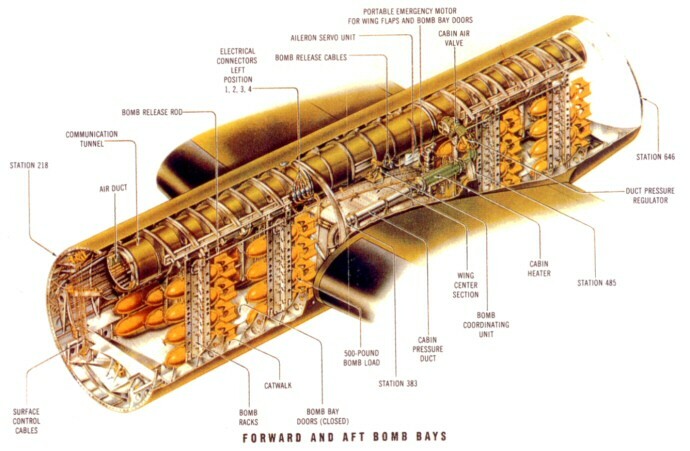 The internal framework of the bomb bay section. Note the cut- out for the wing section. 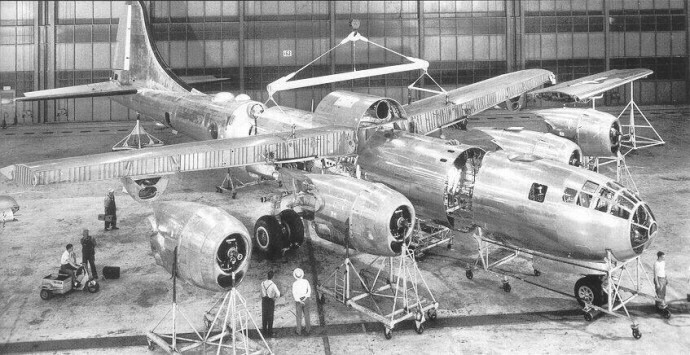 Mating the wing section with the bomb bays. 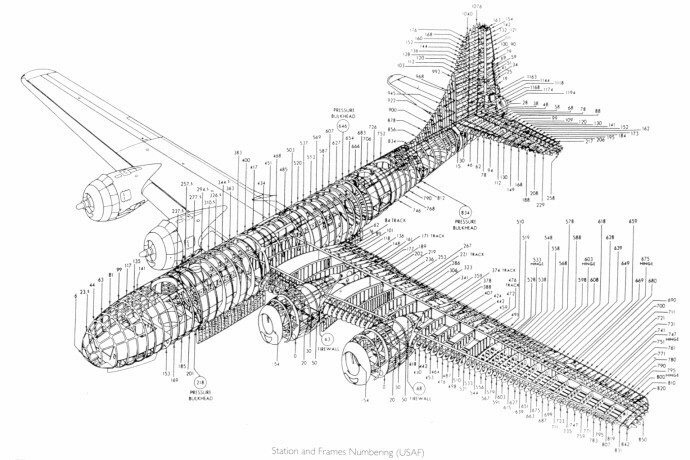 This shows why the portion of the fuselage above the wings was often a different color than the rest of the fuselage. They were cut from different sheets of aluminum. 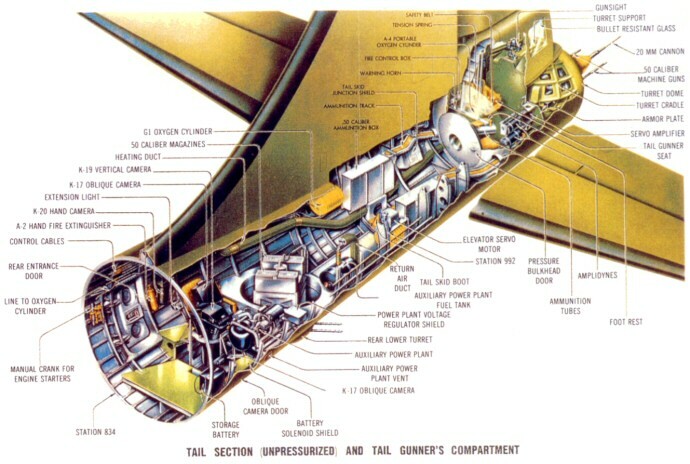 The aft compartment of the aircraft was pressurized. This compartment ran from station 646 to station 834. Most of the remaining crewmembers sat in this section. 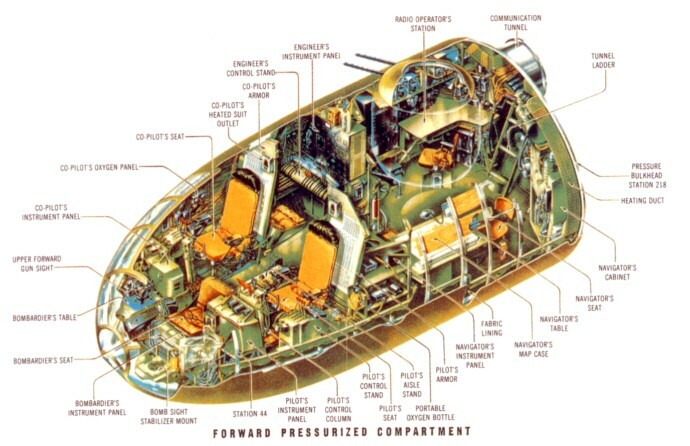 The bulkheads and internal framework of the aft pressurized compartment. 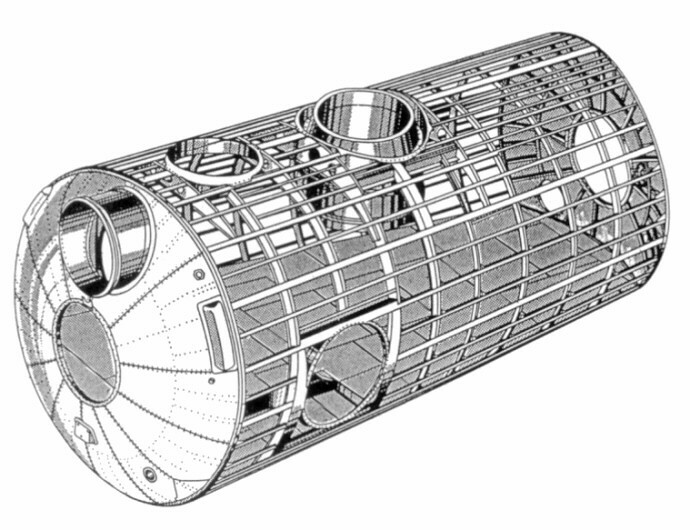 The tail section included an unpressurized area and the pressurized tail gunners compartment. This compartment ran from station 834 on back. 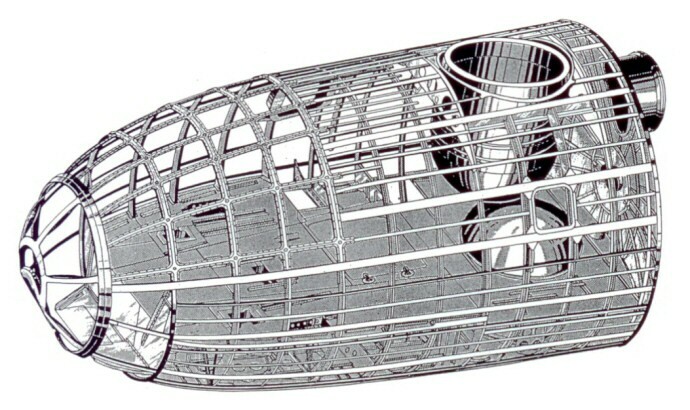 The framework of the the tail section, including the unpressurized section and the pressurized tail gunner compartment.